Micah arrived 22 days before the due date. Mommy and baby are doing well. Louis is Jeff’s middle name. It is a common family name coming from his Great-Grandfather, Louis Steinman who immigrated from Germany. day for our family. To add to the mix, Abby held a bake sale to try to earn money for summer camp, and Jeff is in the midst of a full afternoon of teaching support-raising to 33 new missionaries! Jeff had two other instructors as part of the teaching team, who brought a program that is far more than a photography workshop. It was a unique experience to meet real Portuguese people and tell their real stories, working with real missionaries, who will really be using their finished videos. It allows students to learn, then immediately apply new skills to their projects. Jessica came as an experienced photographer, but like many, scared to death to step over into video. It’s another world when you add audio recording techniques, moving images, story sequencing and video editing – too many new things all at once. I watched her move from resisting the direction we were going, to accepting the challenge, to embracing the idea of storytelling. By the end of the week, we were having long talks with Jessica, answering her very insightful questions about next steps she should take in her career to make her a better visual storyteller. “I went from having no idea how to put together a story, to creating a finished product,” was echoed repeatedly. Now that is exciting! We’re thankful that God has put us in a position to guide these students, and then watch them discover their potential. A dream comes to life. Today marked the beginning of ABWE’s first International Missions Photography Workshop. Students have arrived from all over the States to receive hands-on visual storytelling training. Our goal is to introduce students to the idea of a missionary career as a visual communicator. For years, Jeff has had the desire to begin training photo students overseas on location, working alongside our missionaries. Now the time has come! After directing 3 days of training here at ABWE’s headquarters, Jeff will fly with the team this Saturday night to Lisbon, Portugal. Jeff and two other gifted missions photographers will be teaching the students how to visually tell the story of a life changed by God’s hand at work. The students will then come back to Harrisburg to complete their finished multimedia story. The workshop concludes on May 28. Becky and the kids while Jeff is away – safety, parenting wisdom and no pre-term baby! While you are eating turkey…we’ll be talking turkey with our missionaries about their communications and support-raising needs. We will actually be teaching on Thanksgiving Day, on the island of Madeira, Portugal. Missions is about relationships, and relationships are about communication. The ministry of Visual Communications gives missionaries tools through which relationships are strengthened as people see the hand of God at work around the world. While you are enjoying family…we will be encouraging our missionary family, who are living overseas, far from their families and holiday traditions, in order to obey God’s call to make disciples of all nations. While you are planning for Black Friday…we’ll be planning to go Back in May. Our time in Lisbon after the conference will be used to finalize details for our new International Missions Photography Workshop that we’ll be holding in Portugal in May 2014. Jeff has spent this past month designing this overseas internship for college students who desire to use their visual communications skills in missions. For a more detailed Portugal itinerary and specific prayer items CLICK HERE or reply to this email. The rainy season afternoon drizzle has dissipated here in San Jose, as I prepare for the next assignment God has given me. 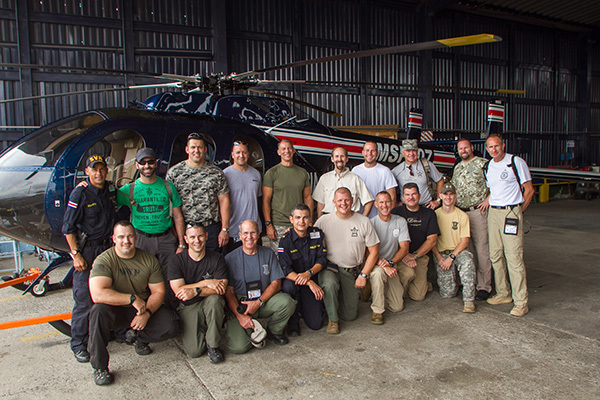 In just 8 hours, 85 Costa Rican police officers will arrive for training. The 18 American police officers here to train them are not only experts in their individual disciplines, but on fire to boldly proclaim the true Gospel of repentance and salvation to their Costa Rican counterparts. How often do we pause to reflect back on the experiences God has allowed us to be part of? To think that Jeff is writing this month’s newsletter from Costa Rica is interesting enough (and a first), but greater is to review the past month. Researched, ordered, tested and packed equipment needed for Costa Rica video assignment. Repeatedly we are told in the Bible to “remember” what God has done for us. God also continually promises that He will remember us. This gives us great confidence as we move forward with the task of using the tools of Visual Communication to proclaim God’s promises. Check Jeff’s regular blog updates from Costa Rica, starting right now, and continuing until he returns home October 6. If you are not receiving these updates each month by email, sign up HERE to be sure you do. “I’ve never done anything like this before. I don’t know where to begin,” appealed a new missionary who came to us for help this week. Missionaries often begin support-raising feeling lost when it comes to telling their story in a visual way. We just love helping them figure out ways to communicate their passion for ministry. Marissa (Colombia) eagerly desires to use her photography skills to share Christ with Colombians. We were excited to interact with her and brainstorm ways she can use photography as an evangelistic tool, as well as helping other missionaries on her field communicate in more visual ways. She was one of 60 new missionaries from our 2013 Candidate Class. Both Jeff and Becky were deeply involved this year in training the biggest group of candidates ABWE has had in years. Jim (Thailand) Director of Asia Baptist Theological Seminary, has learned more than he’s taught. He’s learned that one of the most effective evangelistic efforts is training Asian pastors and leaders to take the Gospel to their own people. To help tell this story, Jeff coordinated a trip for missions photographer Tom Kilpatrick to travel to the Philippines and Thailand. The story was featured in the last issue of Message magazine and can be seen HERE (on page 12). Ryan (Costa Rica) is one of many missionaries who have interacted with us about ways we can be involved in their ministries on the field. Summer is a time God opens doors to places we might travel to teach, produce multimedia stories, or participate in outreach events. Currently, Jeff is working on plans for a trip to Costa Rica to participate in an evangelistic outreach to police officers. So there’s our “Summer Snapshot.” Why don’t you hit “Reply” and send us your “snapshot” of what God is doing in your life? 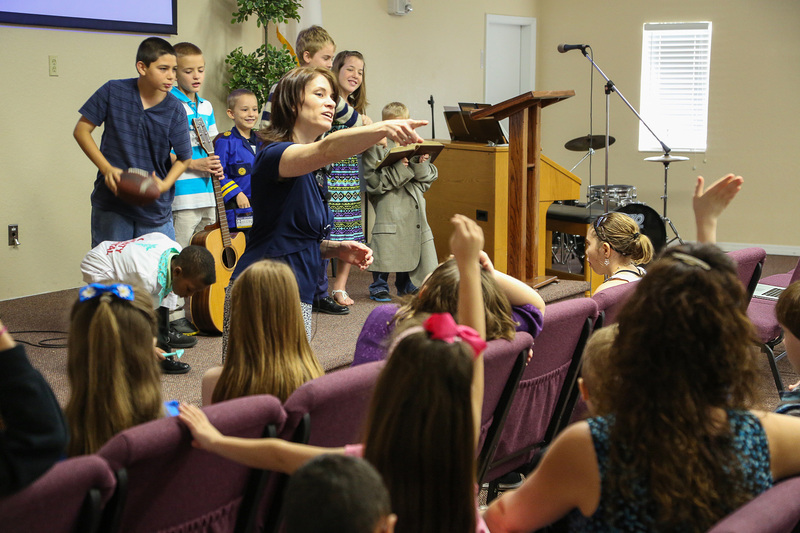 “Go tell people about Jesus,” blurted out the little blonde girl in the purple dress at a missions conference in Winter Haven, FL. Anticipating that answer – the only one children ever give us – we then asked, “Who can think of a way how missionaries do this?” The room full of children stared blankly at us. We were then able to open to I Cor 12 showing them that the body of Christ has many members who each have a different role in God’s goal to make Jesus known. Selecting children from the audience to come up and don props and clothing applicable to various professions, we demonstrate that God can use anyone’s skills and abilities in missions. Teaching adults is a lot like teaching children. If you make it fun, and actively involve them in solving problems, it facilitates more effective learning than standing up front and yapping at them. After returning from Florida, our month was consumed with designing and teaching a course for our new missionaries. We were able to prepare these 19 individuals to share their ministry vision, build their team of supporters, and to communicate effectively with them. We encourage you to check out some of the stories and photos from these and other events at the links below. Please “Reply” to this message if you have any trouble accessing any of the links. “So if I have two sets of four, that’s like 4+4, right?” reasoned Josiah. “Yes! Now let’s try these flash cards…3x3…5x2…” Becky proceeded to quiz them. Josiah’s confusion got me thinking about that same question in our ministry. Am I adding, or am I multiplying? Am I doing the work myself, or am I investing in others? Multiplying facilitates others reaching their goals, and increases our effectiveness in whatever God has given us to do. One of our first steps after reaching our financial support goal was for Jeff to take an intensified support-raising course. Why would a missionary who already has his support attend a class on how to raise support? It goes back to the laws of multiplication. 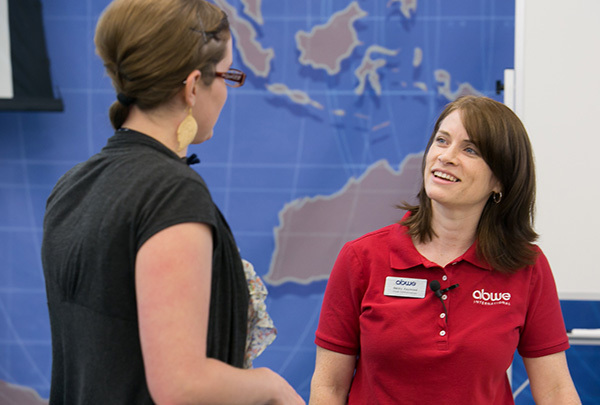 One of the core purposes of ABWE Visual Communications is to help missionaries get to the field faster, which involves, in part, meeting their support requirements. Benefitting from all we learned is only adding. Taking what we learned and investing in the lives of other missionaries is multiplying. The anticipation is mounting as we move toward teaching our next group of new missionaries in March. This month we are actively engaged in helping develop new curriculum that connects support raising efforts to visual communications. Leading these new missionaries to design their visual communications strategies will thrust their new ministries forward. Becky: As you know, we’ve been on a unique journey the past couple of years. Now we’ve arrived at a long-anticipated thrust into the next phase of our ministry. Abby: When this jar is ALL full it is 100 percent full. Jeff: I know that since our last update you’ve been anxiously awaiting to hear the official news. We returned back from our last extended trip about the end of August, and soon after that reached FULL SUPPORT for which we Praise the LORD! We are now at home and in a transition stage that has really kept us busy the last few weeks. Catching up at home – As you can imagine, after 2 ½ years of travel, there’s a lot of things maintenance wise, and piles of things that have been waiting to be done. Working on training requirements – Most people think missionaries just have to raise financial support, but actually there are quite a few training requirements as well. We’ve been preparing for classes, taking classes and finishing reading assignments. Becky: The last of the three required training seminars over the past three years is called “Field Prep Seminar.” We have been preparing for that 10-day seminar which we have coming up here in a few days, November 7-16. Jeff: We’ve also, over the past few weeks, had many meetings with key ABWE leaders to set a starting point and establish goals for our ministry. So please pray as we continue to hold meetings to help make determinations that will help us find balance between the great needs on the ABWE mission fields and all the needs our missionaries have – balancing that with our talents and abilities, so we can be most effective in the work God’s given us. Abby: Thank you SO MUCH for praying for us and partnering with us. Josiah: We COULDN’T do it without you!